Anne explains how Globalvision Energy has purchased the farm next door and has been fracking and deep-well drilling for natural gas. As a result of their drilling, she believes her animals are getting sick and dying. Her healthy herd of Holsteins is reduced to a quarantined pack of worthless beef, and no one will help her. The DEP, the local Ag Board and her government ignore her tissue samples and medical opinions. “Fracking is legal”, and she’s just out of luck. 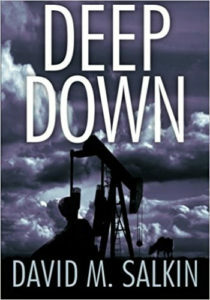 Desperate to save her farm, she hires Noah to help prove the culpability of the drillers next door, but as Noah looks into the case, he finds much more than he bargained for.